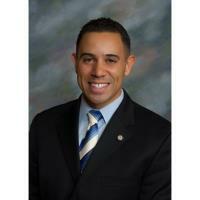 Eastern CT – The Chamber of Commerce of Eastern CT is pleased to announce that Rodney Butler, Chairman of the Mashantucket Pequot Tribal Council and interim CEO of Foxwoods Resort Casino, is eastern CT’s Citizen of the Year. He will be honored at a dinner celebration taking place May 17, 2019 at Foxwoods Resort Casino. The Citizen of the Year award is presented annually to an individual who has made outstanding strides on behalf of the civic and business community. Recipients are nominated for good work accomplished over the course of a year, in recent years, or over a lifetime. Rodney Butler’s nomination reflects years of devoted service to the entire eastern CT region. Butler has served as Chairman of the Mashantucket Pequot Tribal Council since 2010. Before his current role, Butler served in 2005-2006 as Tribal Council Treasurer. Since 1993, Foxwoods Resort Casino has contributed more than $4 billion to the State of Connecticut’s economy. Additionally, Foxwoods has reinvested over $100 million annually into Connecticut through vendor contracts with in-state businesses, fostering tourism and job growth. Foxwoods currently employs over 6,500 people at Mashantucket, the Tribe’s reservation in eastern Connecticut. With Butler at the helm, the Mashantucket Pequots and Foxwoods have opened new avenues of regional collaboration, including an unprecedented partnership with the neighboring Mohegan Tribe. The Mashantucket Pequots and Foxwoods also work with many eastern CT partner organizations to ensure long-term economic prosperity for the state, region, and residents. Likewise, they are strong community supporters, bolstering eastern CT through generous sponsorships, donations, food drives, and in-kind contributions. Following the untimely death of Foxwoods Resort Casino President & CEO Felix Rappaport in July 2018, Butler took on the task of serving dual roles as Mashantucket Pequot Tribal Chairman and Interim CEO of Foxwoods, and has handled this transition gracefully. Both organizations continue to run smoothly under Butler’s leadership, enjoying a renaissance of branding and resort enhancements alongside new, exciting amenities in addition to Foxwoods’ well-known array of high-quality gaming, hospitality, entertainment, retail, and meeting facilities. Chief among these were the addition of Tanger Outlets at Foxwoods, the addition of a zipline, thrill rides, indoor karting track, a virtual reality experience, and a property-wide expansion of restaurants and entertainment offerings. On top of his critically important dual roles with the Mashantucket Pequot Tribal Nation and Foxwoods Resort Casino, Butler also serves as Chairman of the Board of Directors for the United Way of Southeastern Connecticut, is on the Board of Trustees at Roger Williams University in Rhode Island, is a member of the Board of Directors for Mystic Aquarium, and a member of the Lawrence + Memorial Community Hospital Council. Recently, Chairman Butler received the 2018 St. Edmund’s Medal of Honor award by Enders Island Retreat Center and was a recipient of the Tribal Leader of the Year award by the Native American Finance Officers Association in 2017. Butler previously served on the Board of Directors for the Chamber of Commerce of Eastern Connecticut. Butler holds a bachelor’s degree in finance from the University of Connecticut, where he played defensive back for UCONN Huskies Football. Butler is also a founding trustee of the Mashantucket (Western) Pequot Tribe Endowment Trust. In all his positions, Butler gives his full time and attention, earning great respect as a natural leader who is completely engaged in the operations of every organization with which he is involved. In accepting the nomination, Butler was characteristically modest. Click here to watch a video of the press conference announcing Butler as Citizen of the Year. Past Citizens of the Year include Louis Ziegler of the Mohegan Tribial Housing Authority and Chamber of Commerce of Eastern CT Foundation, Mary Lenzini of the Visiting Nurse Association of Southeastern CT, Neil Ryan and Scott Gladstone of Wireless Zone, Mitchell Etess of the Mohegan Tribal Gaming Authority, Maria Miranda of Miranda Creative, Alice Fitzpatrick of the Community Foundation of Eastern CT, and Dr. Grace S. Jones of Three Rivers Community College. The Chamber is pleased to recognize Butler on May 17 at Foxwoods Resort Casino. For the most up-to-date information and to purchase tickets, visit ChamberECT.com, call (860) 701-9113, or follow the Chamber of Commerce of Eastern CT on social media, including Facebook, Twitter, Instagram, LinkedIn, and YouTube (@ChamberECT). Inquire with the Chamber about marketing and sponsorship opportunities for the Citizen of the Year celebration.